Punch changeovers on a traditional clamp can cause considerable down time, leading to decreased productivity. The Express Air™ clamping system for European style press brake tooling seats and clamps in seconds with the push of a button. It offers front and back clamping so set-ups and changeovers are faster than ever. 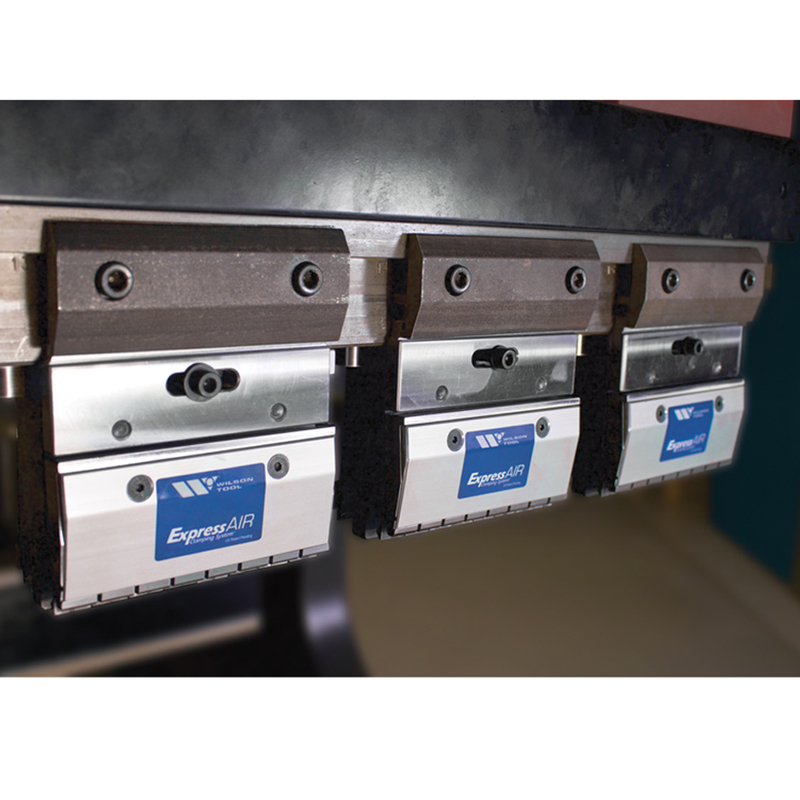 The Express Air™ clamping system is a sectionalized punch clamp powered by standard shop air. 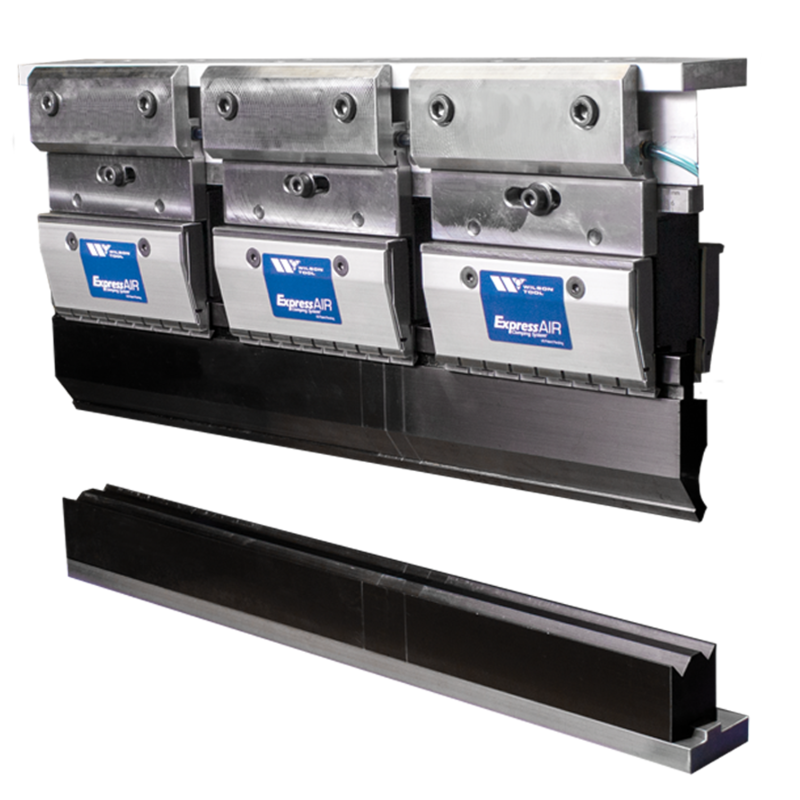 Each section seats and clamps punches securely to the front and back of the beam, either remotely with the touch of a button or manually with the flip of a switch. Clamp sections are hardened with Nitrex® surface treatment to 70 HRC for increased strength and durability. Sectionalized clamping offers maximum flexibility as sections can be pushed together for a solid beam or separated with gaps for box bending. 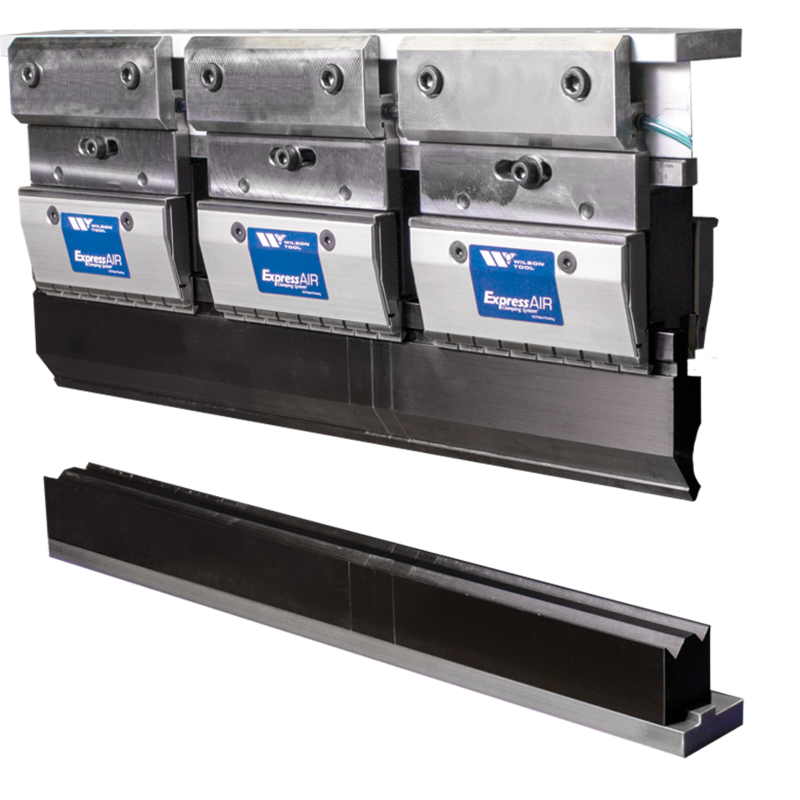 Clamps are interchangeable with most OEM holders for gradual transition to air power using several holders or all at once with holders for the entire length of the beam. Installing the system is also fast and easy for the lowest possible machine downtime. Learn more about the Express Air™ system. 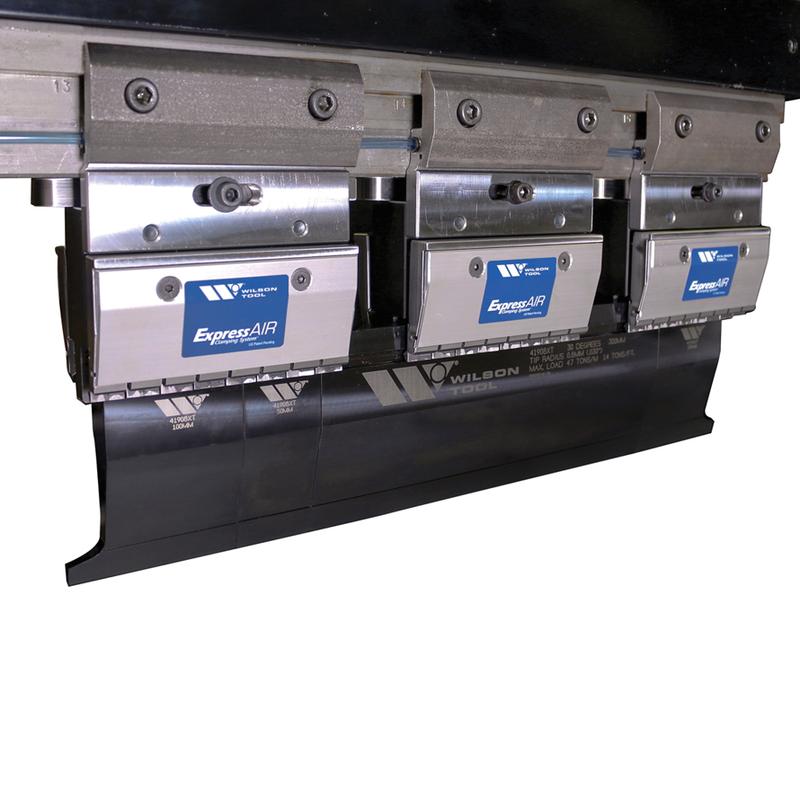 Adding a clamping system to your press brake is like adding new life to your machine. It’s also a way to dramatically reduce setup and changeover time. 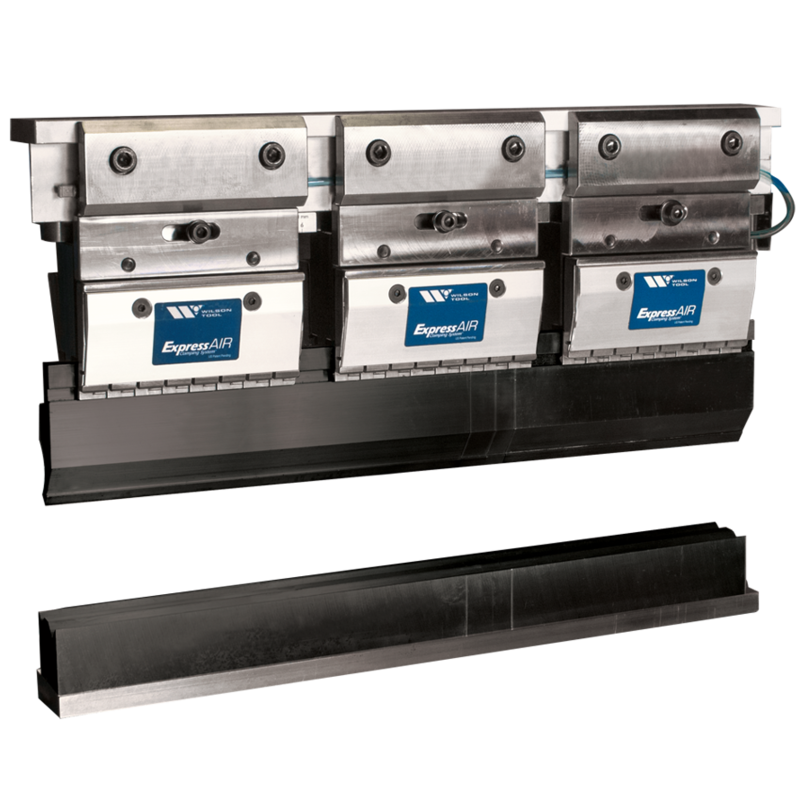 With solutions ranging from lightning speed push-button clamps, to a deflection controlling crowning system to quick lever-activated clamps or economical manual clamps, Wilson Tool provides a clamping solution for every press brake.